Prosur received yesterday a diploma in recognition of our commitment in the fight against gender violence. The person in charge of collecting it was Elena Hernández Cánovas, Prosur administrator. 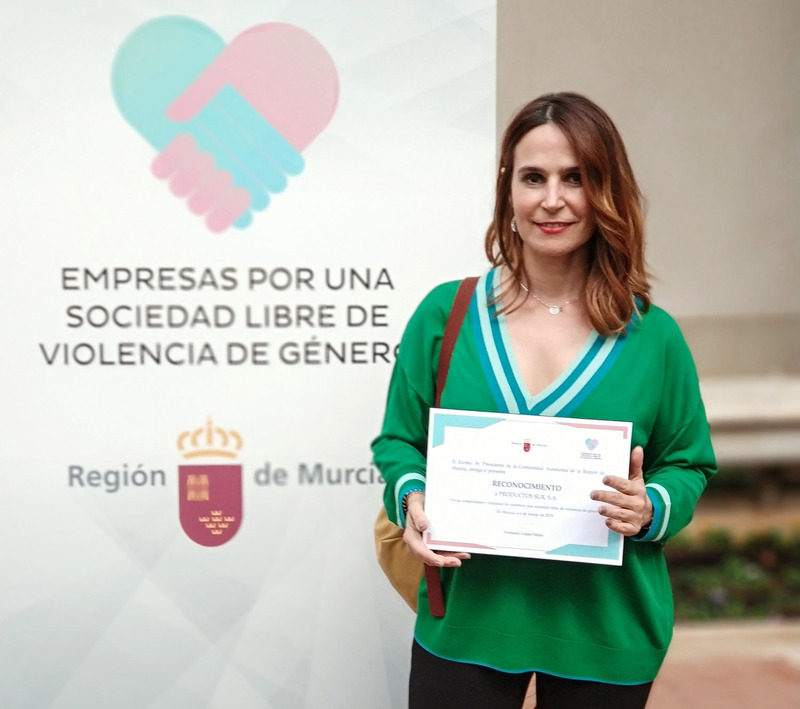 The president of Region of Murcia (Spain), Fernando López Miras, assured that the companies of the Region “are an example of involvement in the fight against gender violence”, and thanked the commitment of the 44 entities “that have taken a step forward” and joined the initiative ‘Companies for a society free of gender violence’, whose representatives were received at the Palacio de San Esteban. 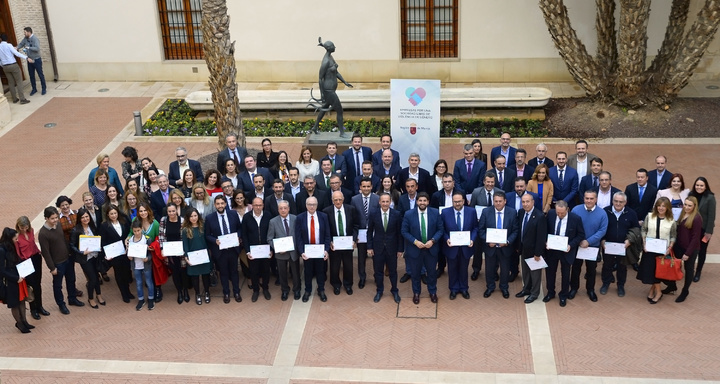 These are companies that, either through a commitment to awareness or insertion, have facilitated the incorporation of women victims of gender violence into the workplace in their activities. Specifically Prosur has been recognized in the modality of awareness-raising in the workforce, carrying out various talks in our headquarters or putting into practice equality plans between men and women.